The 7th continent. Antarctica. Even adventurers with passports full of stamps have never experienced it. But you can. And until you have been there, it’s impossible to imagine how utterly different it really is. No currency. No indigenous people. No industry. No infrastructure. Barely anything man-made. Air so pure, it feels like your first breath. 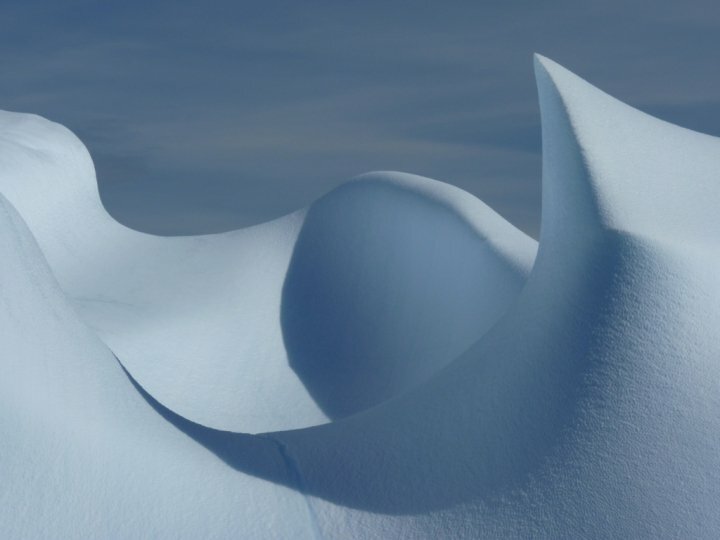 Thousands of miles of white desert, craggy peaks, icebergs and mountains. Open stretches that have never felt man’s weight – unchanged since its birth. An ice sheet that’s a mile thick. Atop, the Adélie Penguins migrate, following the same path’s they have walked for thousands of years. This is certainly not a place to merely sail past – to tick off the map. Leave that to others. This is a vast wilderness to explore. A wilderness unlike any other. Let us take you there! There’s a pitch awaiting you on the ice shelf, at your very own polar camp. It’s spacious, remarkably comfortable and – most importantly – warm. But you’ll not want to spend much time here. Outside, jostle through the crowds of Emperor Penguins as they go about their business unfazed. Watch them toboggan down to the shore, where Humpback Whales rise and fall behind blue tinged icebergs. The spray booms upwards with an almighty splash – so high you can almost feel it. And now you’re awakened, ready to meet your guide. And what a guide! Doug Allan is a polar explorer, research diver, biologist and filmmaker. He has filmed BAFTA and Emmy award winning footage for The Blue Planet, Planet Earth, Human Planet, Life and Frozen Planet. David Attenborough calls him “the toughest man in the business”. Do you have the nerve to find out why? Doug gives you an introduction to ice diving, meticulously planned to suit your ability. Whether you’re a beginner or experienced, this quickly becomes an extraordinary adventure. It’s a story only a handful of divers can tell. You’re also taken through hikes and climbs in the Patriot Hills. There are both beginner and expert routes to enjoy. But if you plan on going as far as the South Pole, you might prefer to use the ski plane. It’s awaiting your call. Look down upon the pathways of Robert Falcon Scott and other intrepid explorers. The passing landscape is beautiful, yet terrifying. It has intrigued, allured, and claimed heroes’ lives. Fortunately, your Terra Nova experience doesn’t meet the same end. On the contrary. The next day, you could take in this astonishing continent by snow-mobile. There’s kite skiing too. Whichever you choose, feel free to build up some speed. You’re the only human being for miles. Absolutely nothing stands in your way.